What a weekend! Busy and fun. Friday night I ran out to get some odds and ends for the weekend. Saturday was packed. Starting off with 9:15 lacrosse, 11:00 easter egg hunt in town, 1:00 my personal trainer kicked my #ss and I was sore the rest of the weekend, 3:30 baseball practice and 5:00 my husband's family came over for dinner and easter egg coloring. One highlight- the town easter egg hunt started at 11:00 prompt. It's over by 11:02 because mobs of kids get all the eggs. As we were walking back to the car I see all these parents rushing to the park looking worried that they missed it and their little kids looking all excited with empty easter egg baskets. It broke my heart. I mentioned how sad it made me to my big boy and suggested maybe he give these kids one or two of the eggs he collected. Well, he gave out every last one he collected. I could not have been more proud! Love him to pieces. Our evening was nice. 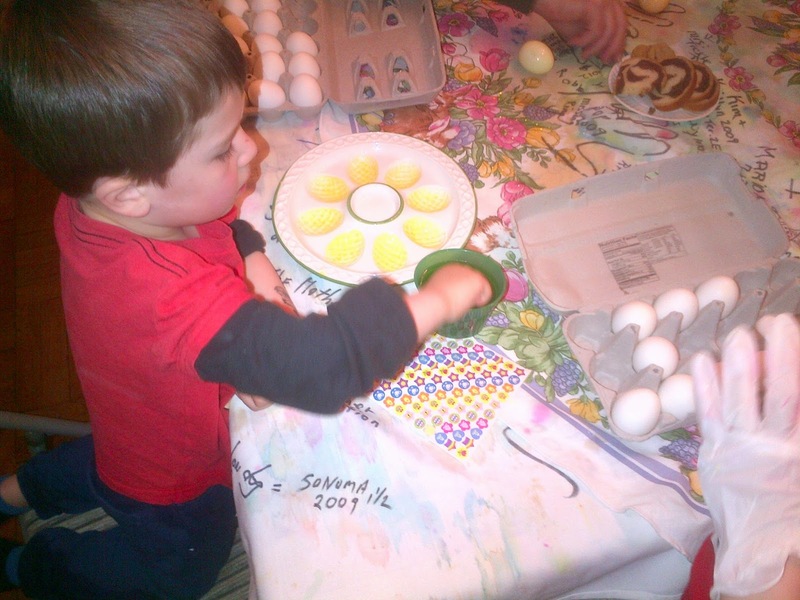 We colored eggs using tablecloths that have been in the family for decades -- splashed with the egg colors throughout the years and signed be whomever was around coloring eggs with the family that year. Such a nice tradition. I still have leftover cranberries in the freezer, so for dessert made this Cranberry Layer Cake. 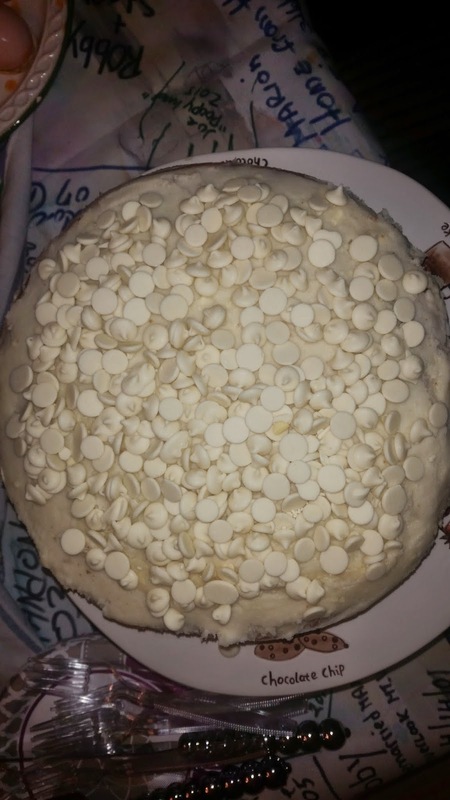 I put white chocolate chips on top instead of walnuts. It was good. 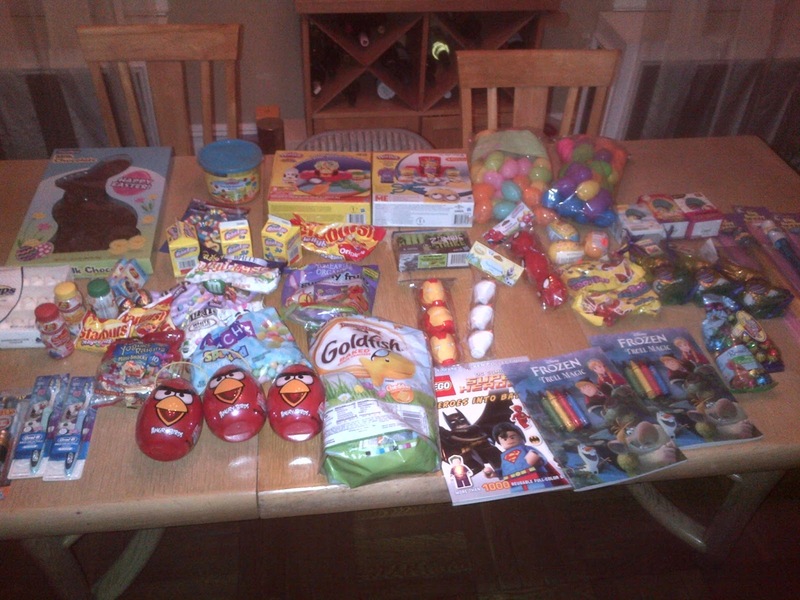 Easter Sunday there were trails of jelly beans all over the house leading to these goodies which I had fun hiding for the kids. Went up to my brother's house for dinner. 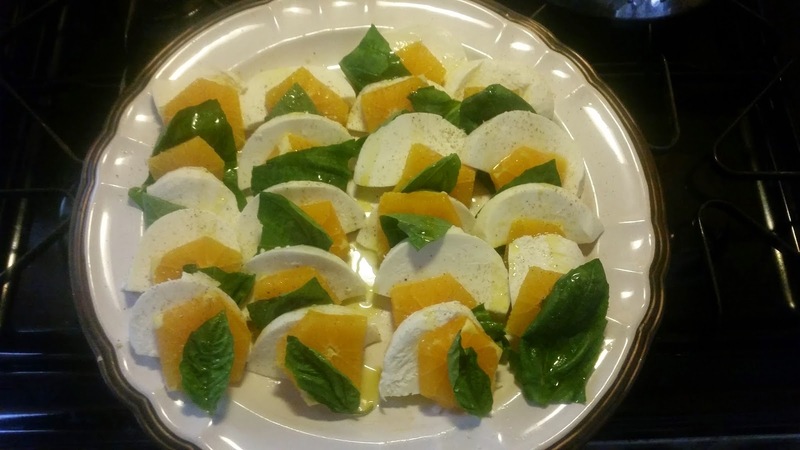 I was in charge of a salad so made this version of a caprese salad using oranges. It was good!